John Casson - Winner of the British Psychodrama Association (BPA) Lifetime Achievement Award 2012! Drama, Psychotherapy and Psychosis explores the use of drama and theatre in the challenging area of working with people who hear voices, focusing especially on survivors of abuse and those diagnosed as suffering from schizophrenia. In examining the often baffling and frightening world of psychosis the book offers alternative models of madness and the self, which form the basis for therapeutic interventions. 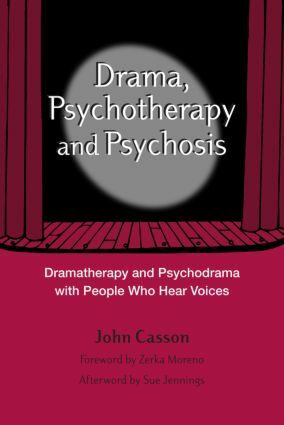 Drama, Psychotherapy and Psychosis demonstrates how creative action methods can be helpful to those who hear voices. It provides guidelines for good practice; essential to all those interested in promoting the safe use of these methods in therapy.